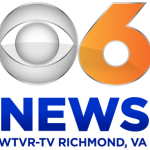 We are excited to be featured on CBS 6 ‘Virginia This Morning’. Below you will find 3 episodes that highlight the individualized care that Dr. Zemmel, Megan Goff, Rachel Duke and our entire staff offer to each and every patient. Segment 1 – Dr. Zemmel and Megan Goff discuss the new Short Pump office and the consultation process.